Fast paced and many times chilling, this book kept me glued to my Kindle the entire day. As someone who has read almost every last tidbit on Princess Diana’s sudden death (and have had my doubts since the morning after it occurred that it was an “accident”), the author takes us deep inside hidden secrets that left me jarred more than once. If you want a fast paced, high suspense read that leaves you speechless more than once- this is the one. I knew I would like this book and I did. If there were more than five stars this book would receive them. Some people would just love to know how a certain beloved royal really met her untimely end. And then again, some people may just die if they do learn the truth. After all, there’s a trained assassin waiting on a big check if he eliminates anyone remotely connected with the so-called accident. Find out if he collects in Death Tunnel, the royal thriller that lifts the veil on the plot behind the palace wall in a fast-paced, fabulously fun good read. 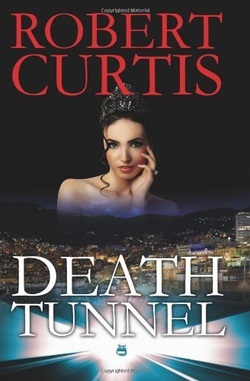 Based on theories surrounding the tragic death of a beloved British princess, Death Tunnel peers into the hallowed chambers of a faltering nobility to expose its hypocrisy and arrogance. An aging gun for hire who has plied his trade as a United States special forces officer starts showing signs that he may have lost his dead aim. That’s when the British Special Air Forces enlists him in a little moonlighting with a serious body count. Buy your copy on Amazon today and receive a 10% discount!